Hi friends I am using windows XP sp 2 and I want to install windows 7 ultimate sp1 in my desktop and I have just one drive in my desktop and I don’t want to lose any stored data like my pics and songs please help. How can the Windows Vista SP1 be uninstalled? How I can remove the stored password of a Network? 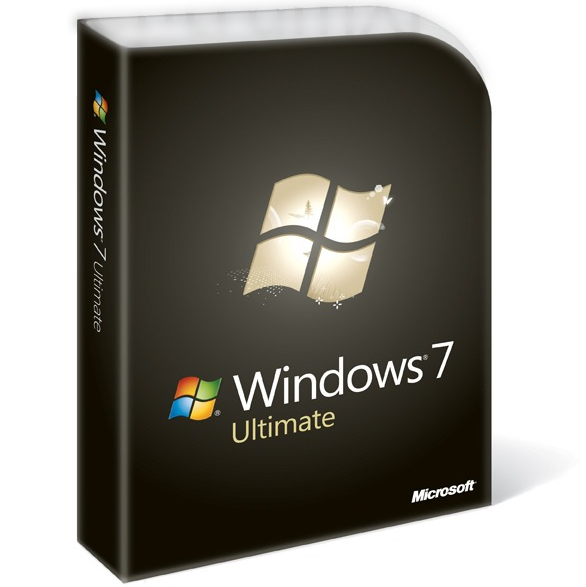 Re: How to format windows 7 sp1 in my desktop without losing my stored data? i understood your problem,there is no need to worry.you can install windows 7 without loosing your files..
* install windows 7 in the same drive. *thats it ..you are done...enjoy windows 7.. If you have only one disk and you want to keep your data after fromating too then you will have to first create a partition of your drive. Then u can right click on the drive which you want to partition and select partition volume. Once you have created the partion you can always install OS in one drive. Friend, you can format Every Drive without loosing your Stored Data. STEP 1: Select Start, Right Click on My Computer and Select "Manage". STEP 2: "Computer Management" Window is Opened and Select "Storage" followed by "Disk Management". STEP 3: After this, you can view all the Drives present in your Computer. STEP 4: Select the Drive which you want to Partition and Right Click on it and Select the Option "Shrink Volume". STEP 5: Window which displays Size of the Window before Shrink, Available Space for Shrinking and enter the Value to be Shrinked is Opened. STEP 6: Enter the value and Click "Shrink". It takes some time depending on the Space of the drive. New Window arrives which shows the Unallocated Space. Right Click on the unallocated Space and Select the Option "New Simple Volume". STEP 7: A Wizard will Open up and enter the values which are needed. Enter the letter for the newly Created Drive. Select the File System as "NTFS". Click "Next" and then Click "Finish". First you should make a different drive and then transfer all data in that drive. 1. Right click on "My Computer"
Maximum half of full volume. 11. Now you can format your main drive. If you want to boot your computer with window 7 then you will loose all the data in the c drive. So before booting the computer you can move the important files to any other drive to keep them safe or to not delete it. Or you want to format only the C drive then the other drives will get no harm. So it will better to format the c drive only. Off course, you can format windows 7 sp1 in my desktop without losing your stored data. its simple one to insert the windows 7 os . If you don't want to loose your Stored data like Pictures, Songs, etc. Then, you will have to keep away your data from PC by using External Storage Devices like Pen Drive, CD/DVD Disk, etc. Because, during installation of OS your drive will be formatted and all data will be erased. So, it would be better for you to take out your important data and then Format it. > Now insert windows 7 bootable disk . If you want to install new window and want to format the old window and don't want to loose your data then dear you must have to install the new window on your computer on the same drive where your old window is already present and dear install the new window properly after installing restart your computer your computer will ask you in which window you want to boot up your computer select the window you have installed newly and dear after boot up open "disk clean up" from window disk up you are able to remove old window files easily without loosing data. Now insert a boot able disk of windows 7 SP 1. And follow the introduction of install process. In this problem format windows 7 sp1 in your desktop with losing my stored data is required to some functoinal create of goes..
--> Do you want to loss of data in your system then format some memory location. --> Is if free of pictures,files and folders and some important items are to include them also supports them. --> Os is changed then it can certain Drives to asked to format or not then you change the Drive is free or not. --> Keep have to away your data from PC by using External storage Device like pendrive,CD/DVD Disk and etc..
* click on disk a new window on your window. * Now presently your problem is solved. - Drives are volume to linked one to one..
- Drive options to volume stores. It is use full for you..
try to utilize the problem is solved.. !! Follow the steps below !! !_! Install the Windows 7 on the same drive where the XP resides !_! !_! Before doing this,transfer the needed files to other drives from OS residing drive !_! !_! Now insert a disc and complete the installation process !_! !_! After installation,you will see a file 'Windows.old' on the drive you installed !_! !_! Delete that so the previous OS will be removed !_! !_! At the time,you will have the stored files in other drives !_! !! Watch the video below !! You can format it by booting it through windows 7 cd.After it install it ,while installing you can install it in other partition and preserve both operating system.And then you can log into any of operating system by pressing the system on which you want to run.Or to keep one operating system install windows in same partition and press keep old files.Then you can use one system and keep old files also. -->>put your dvd inside your dvd drive. -->> when it asks you whether you want to format the drive and install a fresh copy of windows or overwrite the existing copy of windows. Choose yes if you want a new and fresh copy only the data in that drive will get formatted(recommended) and choose no if you dont want to format. 1)First Right click on My Computer. 6)During shrinking your main drive you divided it in the cool formating list. 8) Now you can format your main drive. first insert the CD/DVD of windows7 in to the ROM..
and select the drive ....that is which drive you want to format.. If toddler loosened your current Stored information such as Images, Tunes, etc. Then, you'll need to keep out your current information by PC through the use of External Safe-keeping Systems such as Dog pen Generate, CD/DVD Hard drive, etc. Because, for the duration of setting up OS your current commute might be arranged and everything information might be erased. And so, it may be more wholesome to carry out your current important information and then Format it. 4..It will ask if you want to install a "fresh copy of windows" or"upgrade the current". 5..Click on UPGRADE option and follow the Instructions..